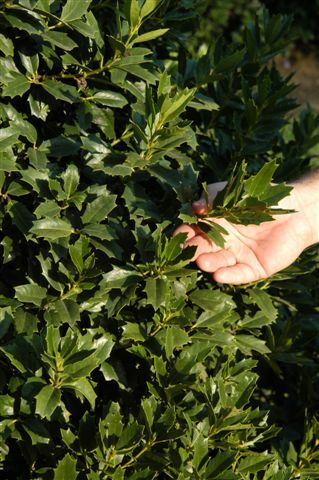 Oak Leaf is the most widely used selection from the Red Holly Series. Developed by Mitch Magee’s Evergreen Nursery in Poplarville, Mississippi. New Growth emerges as a reddish purple. Vertical growth habit: during the early stages of development (6-8' height). Oak leaf is more columnar then pyramidal.